Discussion in 'The Doctor's Clinic' started by Stark, Jul 17, 2010. So I was thinking about adding a couple of these to my mono-type team, and I settled on Tentacruel and Muk. Tentacruel @ Black Sludge / ? I'm sure the EVs can be improved on... I tend to slap 252 on everything I think is necessary. Rapid Spin I'd like to keep on Tentacruel purely because its something I don't have on the team at the moment, and its something I've never used either. I already have someone with Toxic Spikes on the team. Muk I'm not so sure about, because I've never used one before. I think its definitely best to go down the physical route for its attacks, but I'm still at a loss. I would go for the muk but I would take advantage of its ability to use ghost type moves like Shadow Punch, or teach it a good dark type attack like Payback because of Muks Natural slowness. Note that both Muk and Tentacruel can each take a more offense-oriented approach, Muk generally leaning towards physical offense with Tentacruel being capable of both to some extent. Simply move the Sp.Defense EVs to either Attack for Muk or whichever offensive stat you want for Tentacruel (or even Speed, since Tentacruel's quite fast) and you now have a more offense-oriented bulky Pokemon on your side. If using both, you'll want someone resistant to Psychic, Ground and Electric too for Tentacruel - if you don't mind Claydol, he actually fits the bill for that perfectly...but I digress. The best thing to do with these pair is figure out what will be going in the rest of your team and then work them around the rest - they're both versatile Pokemon that can cover multiple roles. Obviously the latter two are more physically defensive, and Gengar/Weezing focus on special attacking whilst the other two are physically based - so I realised I needed something to cover the special angle of things. I don't have a big ground weakness right now so the only problem is psychic really. Nidoqueen could take any electric attacks aimed for Tentacruel whilst Weezing/Crobat/Gengar can take anything ground related going for the pair. The bulky option is definitely a route I could look at... Its a step away from the outright Wall idea for sure. Ah, mono-Poison, definitely an interesting endeavor. The best option for dealing with Psychic-types, besides Gengar, would have to be either Drapion or Skuntank, if you're willing to use either of those two. Immunity to Psychic is awesome, and I believe both Pokemon get STAB Sucker Punch too, which seals the deal really. That said, Crobat's already faster than any non-Uber Psychic-type anyway (Mewtwo speed-ties with Crobat and only Deoxys outspeeds it - they're both Uber) so he can do the job himself to some extent. Muk's Shadow Sneak can take out more frail Psychics such as Alakazam handily also. 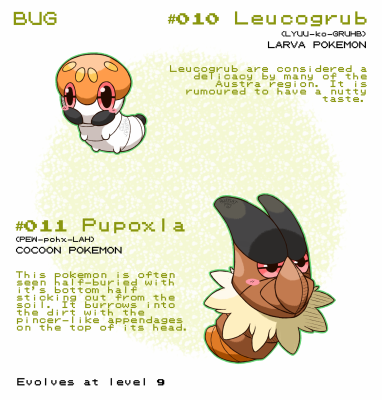 There's a few ideas for you - Poison-types are extremely versatile all-around, so have fun.